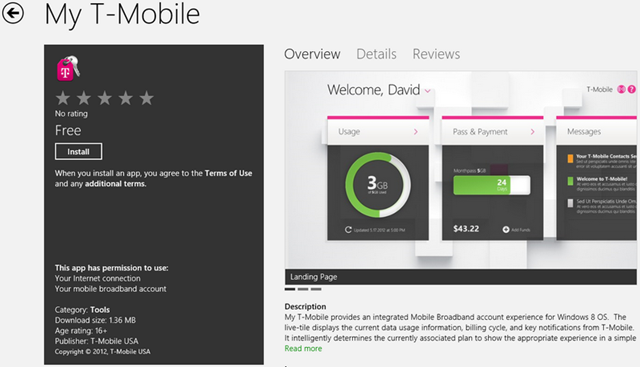 My T-Mobile provides an integrated Mobile Broadband account experience for Windows 8 OS. 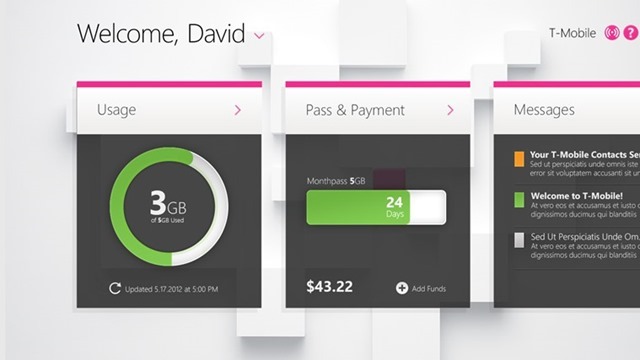 The live-tile displays the current data usage information, billing cycle, and key notifications from T-Mobile. It intelligently determines the currently associated plan to show the appropriate experience in a simple and intuitive manner based on the status of the plan. 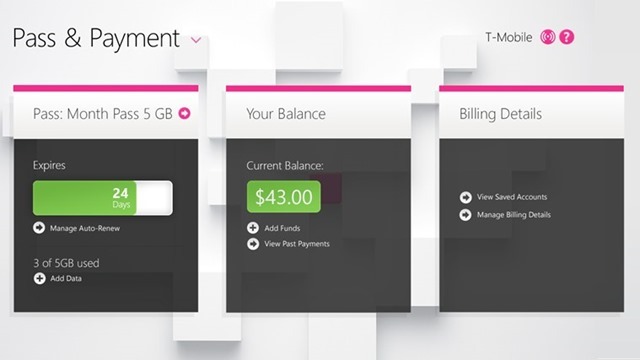 Provides a seamless connection experience to purchase plans or to top-up data. Saves all the T-Mobile toast pop-up notifications for later viewing. Help & Support section provides friendly troubleshooting and self-help tips. This application requires a T-Mobile data SIM card to function. If you are a T-Mobile US Customer, you’ll definitely need this app. So you’d better get this into your toolbox via the Source link.